MOTION: Jamie made a motion to approve the previous minutes, seconded by Dan, the motion passed. MOTION: Jamie made a motion to forego conducting a financial audit engagement, seconded by Nancy, the motion passed unanimously. Maged Elmadhoon joined us from the city’s transportation planning department to talk to us about the conversion of South and Grey streets to two-way operation. 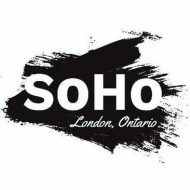 In June of 2011 The SoHo Community Plan was adopted by council, this is the guiding document which informs this initiative. Left turns would be prohibited from South street on to Wellington. MOTION: Jamie made a motion that we write a letter of support for this project, seconded by Laurie, the motion passed. Jim Yanchula, manager of urban regeneration from the city came to gave us an update on the secondary plan for the hospital lands and surrounding area. We first look at the SoHo Community Improvement Plan (CIP), which encompasses the whole neighbourhood and drives policy from a high level. Angela discussed the importance of having as many people out to meetings as possible so that we can make sure that we have as much input as possible to the development of these lands. The London Heritage Council along with the Culture Manager for the City of London would like to schedule a community consultation with SOHO Community Association in regards to the Simcoe School War Memorial Stone’s location selection. Alice announced some upcoming community events. The 43rd Geranium heritage house tour is coming up, in the Grosevnor neighbourhood. It’s on Sunday June 5th from 1pm-5pm. The walk starts at Victoria Carter London Dance Centre, 160 Sydenham street. Tickets are $20 in advance and $25 at the door. Tickets available at http://acolondon.ca. MOTION: At 8:12pm, Delvis made a motion to adjourn, Nancy seconded, the motion passed.